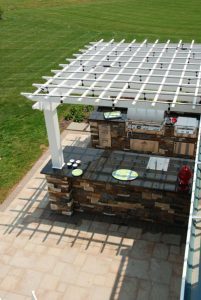 Pergolas & Gazebos - DeMichele Inc.
Our area is known for its extreme summer temperatures – a Gazebo or Pergola is perfect for outdoor entertaining. Our clients are constantly looking for ways to beat the heat! 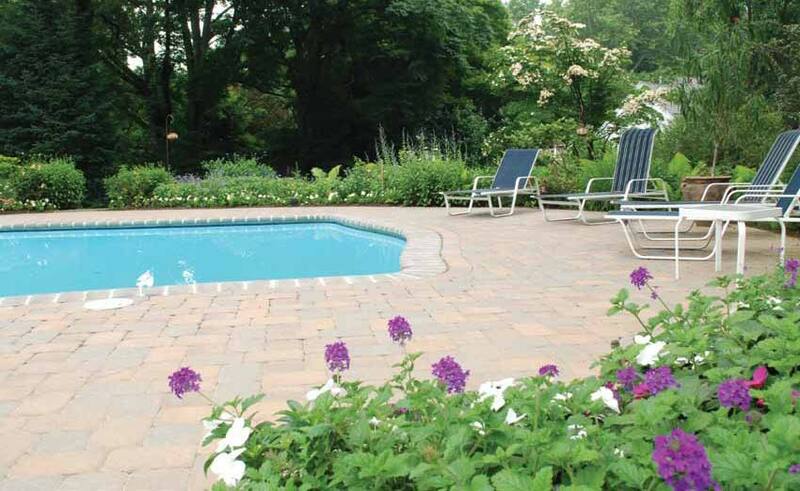 With swimming pools being the number one investment for those looking to cool off when it hits 100 degrees, you can bet creating shade follows a close second. For the average backyard, you can almost expect a covered shade patio. Most of us know that the “builder patio” is always very small, and can barely fit a table and chairs. The newest fad is getting out into the backyard and creating your own shade. 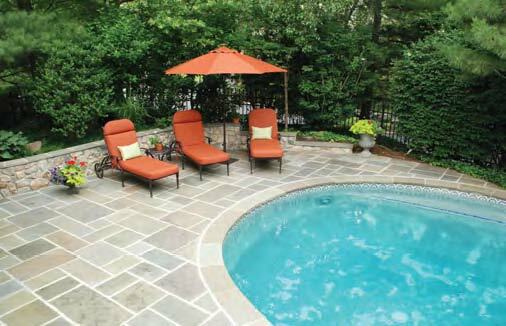 B. DeMichele Inc. has many different ways of creating a covered patio to assist in managing the blazing sun. We have many different types of structures available but the most popular are the pergola or a gazebo. An arbor formed of horizontal trellis work supported on columns or posts, over which vines or other plants are trained. 1. Our basic outdoor shade structures are our pergola structures. These are the least expensive structures because they are made almost entirely of wood, and can be built in a few days. 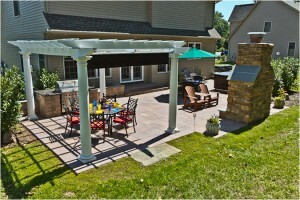 Ranging from 100 Sq Ft to over 600 Sq Ft, pergolas can accommodate almost any look by just changing the support posts. An Italian pergola may have Corinthian stone columns, where a southwestern pergola could have wood or round peeled posts. 2. For the most shade one can buy, a Gazebo is the best bet! These structures have a completely sealed roof, with tile and more. Outdoor lighting, ceiling fans, and speakers can finish one of our upgraded gazebos. 3. Backyard living begins in your covered patio areas, and B. DeMichele Inc. is known for building some of our areas finest pergolas and gazebos! 4. 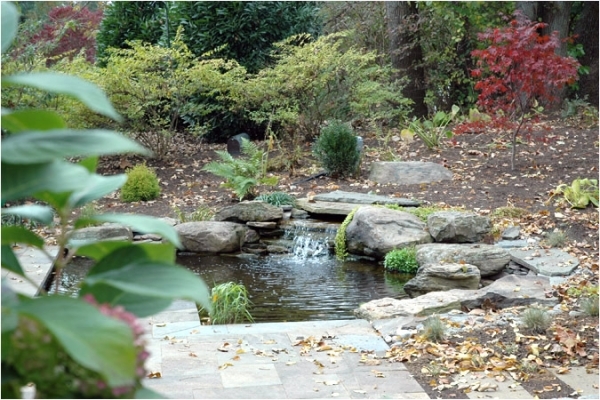 Create a space out in the yard, where you can sit and look back at the house. 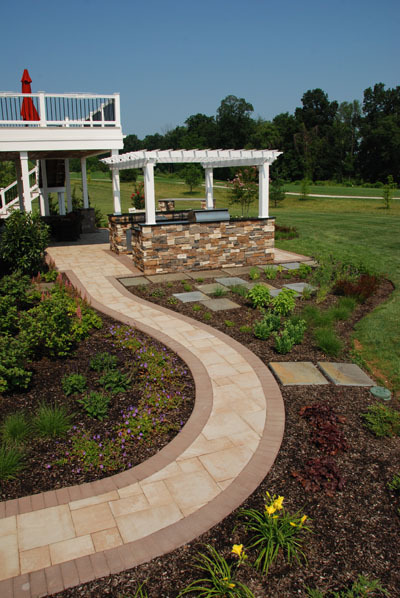 This will encourage you and guests to venture out in the yard. A pergola provides plenty of shade, even with an open roof – remember the sun is never directly over the rafters. Make sure you run your rafters North and South – this provides the most shade, 12 months a year! 5. Make sure your custom Pergola or Gazebo matches the architecture of your home! In fact, most HOA’s require it. When building your custom shade structure, don’t skimp on electrical wiring – you’ve got only one chance to make sure that you’ve got ample lighting, ceiling fans or you are pre-wired for future outdoor speakers. After many years of perfecting our products, we have come up with the best possible way to construct many of our popular items. 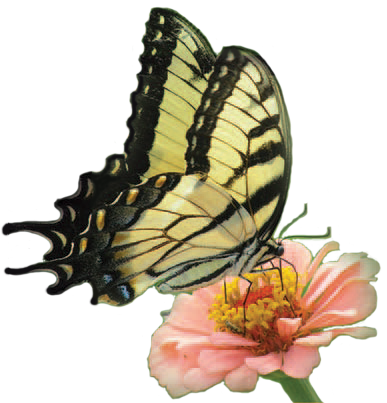 • Footers – Over-sized footers provide a lifetime of support for all of our structures. • Engineering & City Inspections – All of our structures have been professionally engineered and submitted to all cities prior to construction for approval. During this approval process each city’s engineer reviews our plans to provide a second opinion to our construction techniques. All of our structures are built with this strict guideline and city inspections. • Framing, Lathe & Stucco – Our structures will identically match the architecture & construction methods of your existing home. We are highly experienced in all construction techniques – so, matching the existing details of your home is never an issue. In fact, we guarantee it! Also, since pergolas and gazebos are part of most of our projects, we have a full time crew that specialized in each construction aspect (framing, stucco, roofing, etc…) With these crews available immediately our structures get built in days, not months! • Oversized lumber – By taking one look at our structures, compared to other companies – one will see that we use larger, more durable lumber.